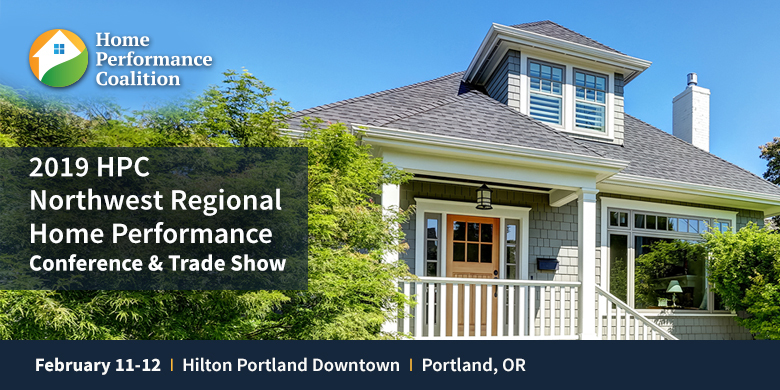 Join industry leaders along with fellow weatherization professionals, home performance contracting businesses, program administrators, and others working in the residential energy efficiency industry for a cutting-edge educational experience at the 2019 HPC Northwest Regional Home Performance Conference. Become a part of the conversation as we work together to strengthen the industry through education, networking, and new ideas. Discover the latest in building science and technical information along with strategies to run a home performance business or program efficiently, and key updates on policy and new technologies to stay ahead of the curve, specifically tailored to the Pacific Northwest.